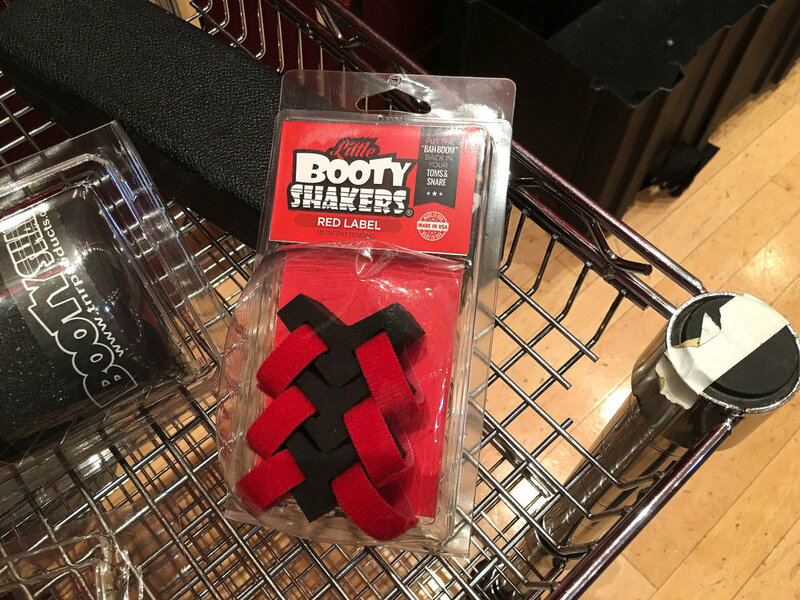 TNR Products' Booty Shaker isolation mounts are the brainchild of guitarist/composer Rich Wiley, and professional drummer Toby Ahrens. 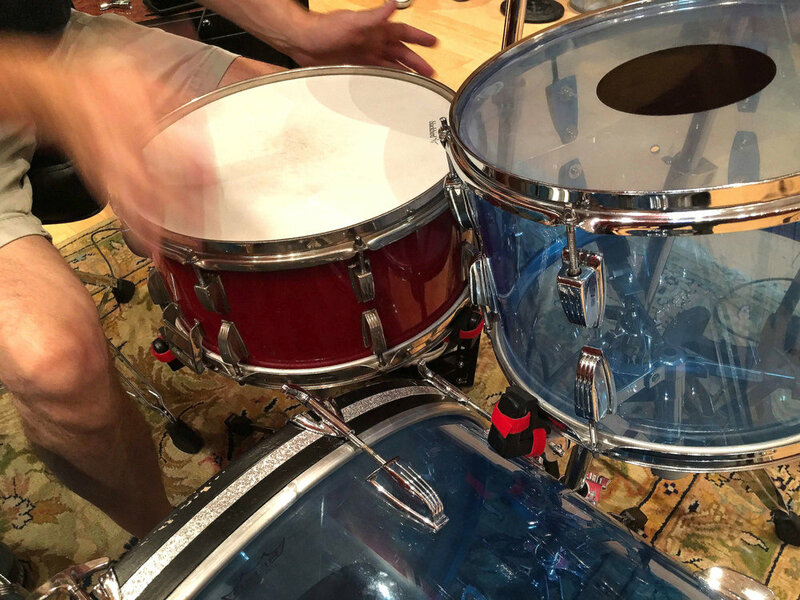 During a session, they discovered that a floor tom's decay and tone sounded best when held off the ground, but when played in position all the low end would disappear, and the decay sounded pinched. 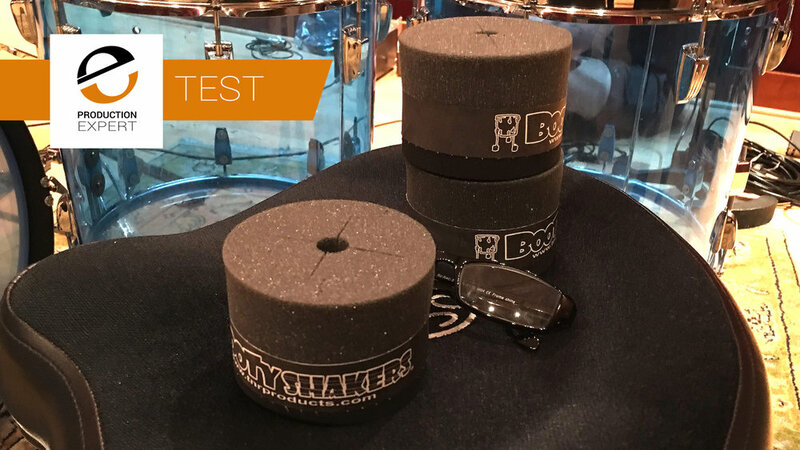 After much experimentation they came up with two products, the Booty Shaker floor tom isolation mounts ($15.39 + tax), and mounted tom and snare mounts ($22.39 + tax.) We recently had a chance to put these products to the test under ideal conditions at Blackbird Studio in Nashville, TN. during a session with the students at The Blackbird Academy. The mic setup was a takeoff on the Glyn Johns three-mic approach close to the kit along with a Decca Tree set up further back in the room. The Kit: Ludwig 1970s Vistalite 16", 18", 20", 24", a WFL 5 x 14 snare, Sabian Artisan cymbals (19", 20"), hi-hats (15"), and a Sabian HHX Legacy 22" ride. 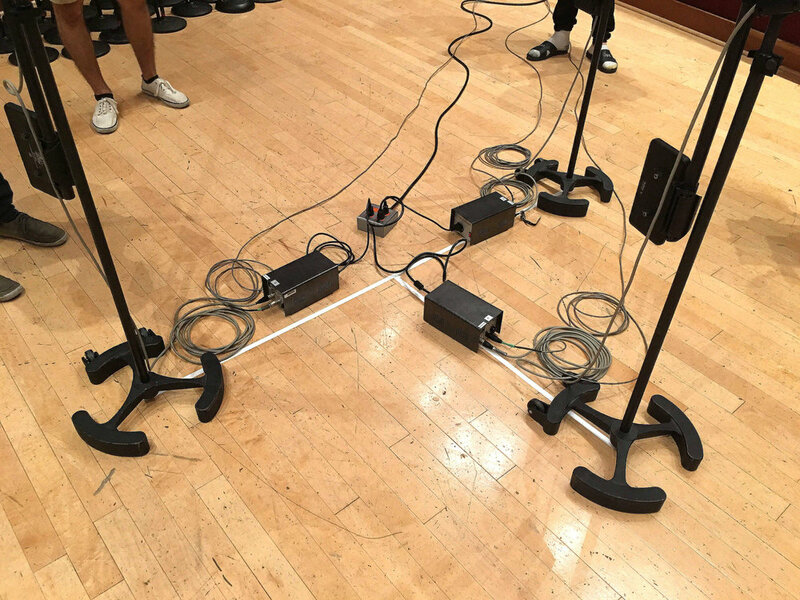 The two high-resolution audio files represent the kit recorded and mixed with the six microphones. One file is without the Booty Shakers, the other is recorded with the snare, rack, and floor toms fitted with the isolation mounts. It's best to listen to the audio on a high-quality playback system or headphones. The Booty Shaker drum isolation mounts work as advertised delivering a stunning amount of additional low end and improved decay across the kit. We used the mounts on both floor toms, plus the rack tom and snare drum and the differences were impressive. It took an already great sounding kit to the next level. Even if you have a four-piece kit, the cost of the mounts is well under $100. 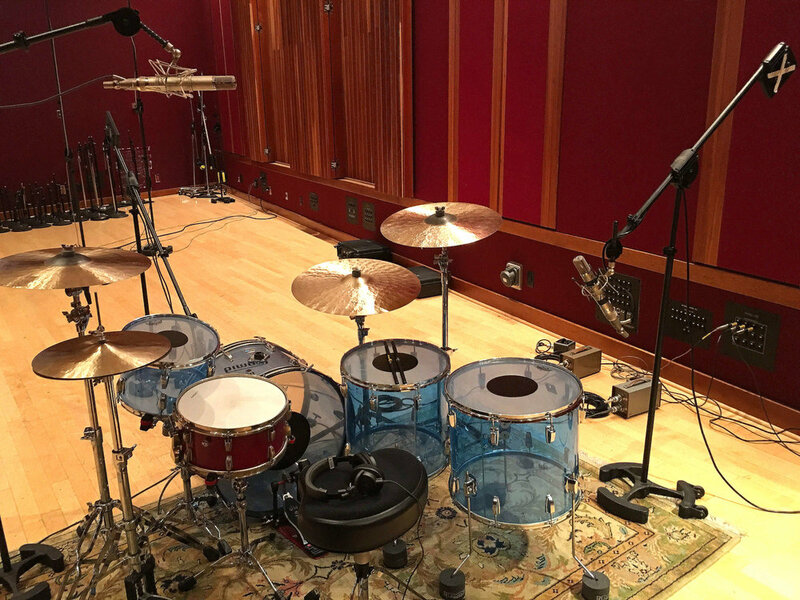 The three close mics were placed in front of the kick drum, overhead, and to the right of the low tom looking toward the snare and rack tom. 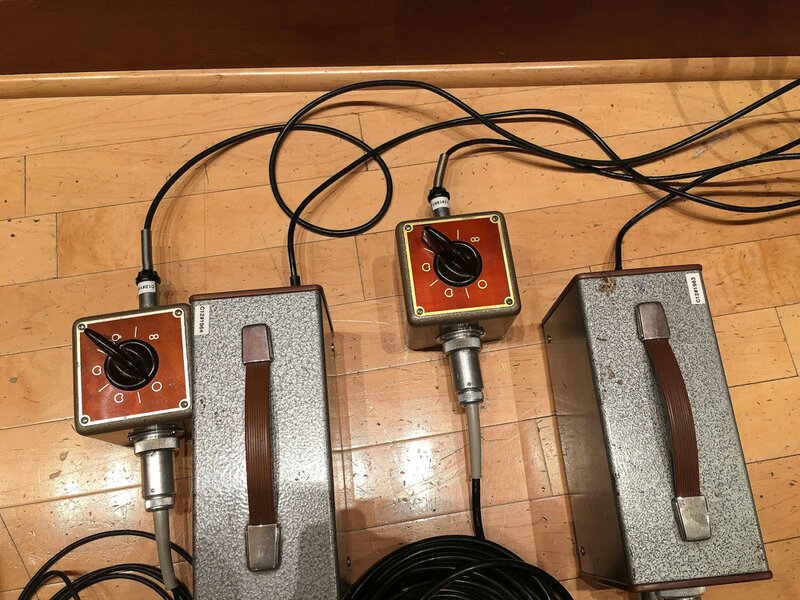 The three mics were panned center in the mix. You can see the Booth Shaker mounts velcroed to the snare mounts used to hold the rack tom and snare. Mounting the Booty Shakers is quick and easy. Keep in mind it will raise the drum and change the circumference of the mounts compared to the same stand without the iso mounts. Want to learn more about recording drums?